Posted maart 4th, 2018 by admin & filed under Geen Categorie. Posted januari 28th, 2018 by admin & filed under Geen Categorie. Posted november 26th, 2017 by admin & filed under Geen Categorie. Posted oktober 24th, 2017 by admin & filed under Clubnieuws. Posted mei 20th, 2017 by admin & filed under Geen Categorie. Posted februari 5th, 2017 by admin & filed under Geen Categorie. 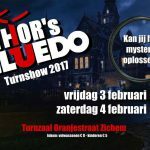 Posted januari 16th, 2017 by admin & filed under Geen Categorie. Posted november 10th, 2016 by admin & filed under Geen Categorie. Posted oktober 28th, 2016 by admin & filed under Geen Categorie. Posted september 27th, 2016 by admin & filed under Clubnieuws.